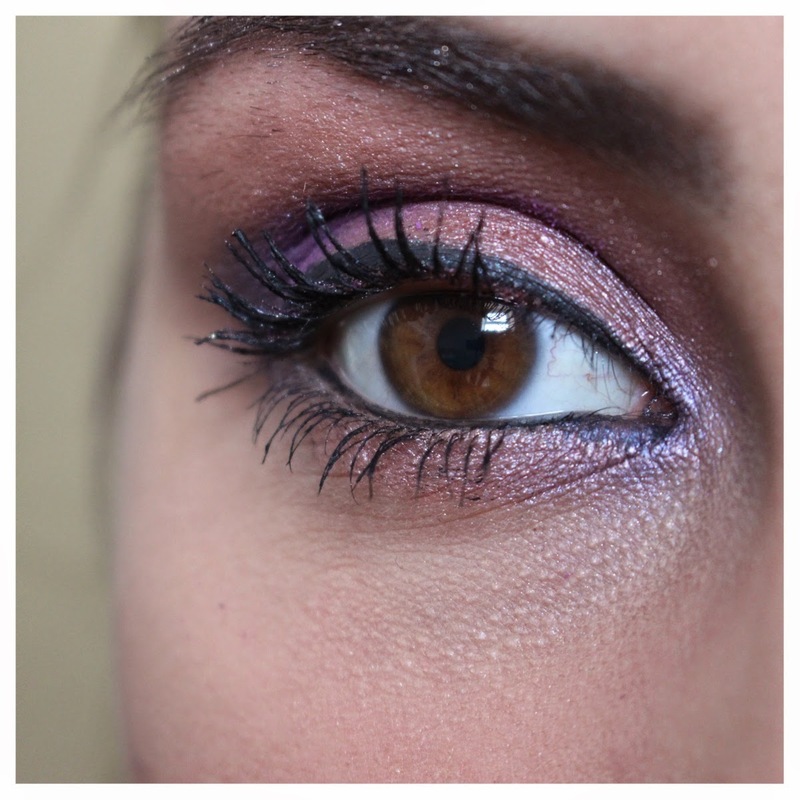 Not Your Average: Eye Makeup to make Brown Eyes POP! 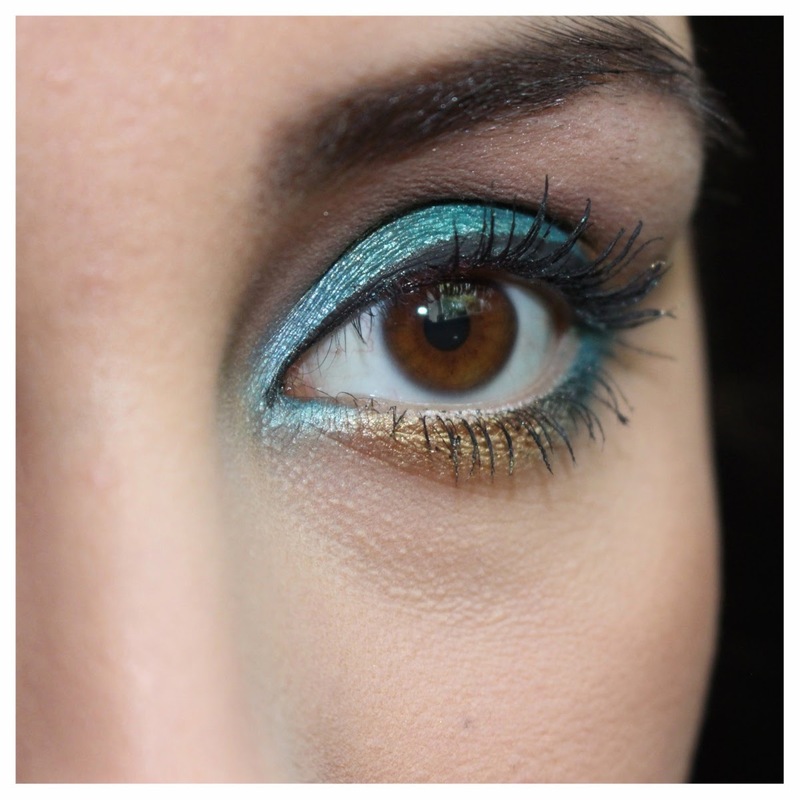 Today, I have collaborated with the lovely Michelle from Thou Shall Not Covet to bring you a post that focuses on the different makeup looks for Blue and Brown eyes. 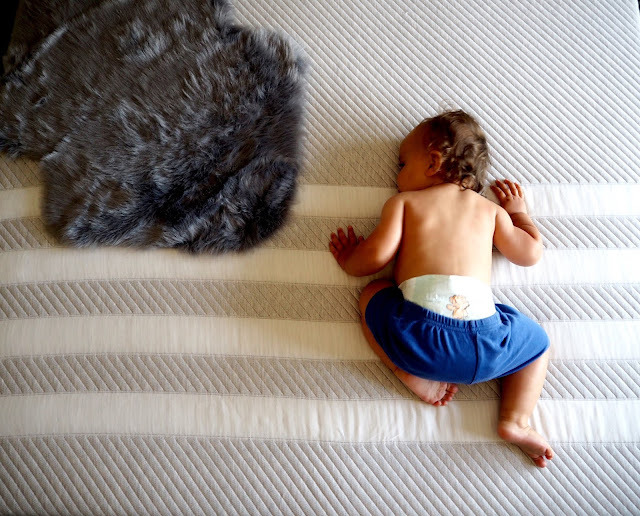 As she has blue and I have brown eyes, I will be focusing on the brown eyes part and if you head over to her blog, she’ll be covering the blue eyed side of things. To start off, there are very few colours that brown eyed people can’t off making us very fortunate. I have numerous palettes with multiple colours in and you can bet i’ve tried them all but I do feel that bright colours look better on darker eye colours than on blues or greens. I used to love wearing the Barry M Glitter Pots under my eyes or in the corners and still have a few of them stashed in my makeup drawer but nowadays, I tend to play with colour a little more delicately and now know what looks good and what doesn’t. The first look is a blue and gold bright eye and to get this I used the Makeup Revolution I heart Sin palette and the colours 'Jealous Eyes', 'Cross the line', 'Want it all' and 'Golden gun’, I applied the shadows using a range of Nanshy Eye Brushes; The Large Shader brush, Eye crease brush and Blending eyeshadow brush finishing the look off with Collection fast stroke liner in Black and Barry M Lash Vegas mascara & Benefit They're Real! Mascara on my bottom lashes. My brows have been filled in with Joan Collins Eye and Brow palette. This second look is less bright and could be made smokier by using darker colours in the crease but to achieve it I used my Naked 3 palette and the shadows 'Nooner' and 'Buzz' with Makeup Revolution single eyeshadow 'Rave all Night’ applying these with my Nanshy Tapered crease brush and Crownbrush BK13 and BK37 to blend, blend, blend. Again using my trusty Collection fast stroke liner in Black and then the YSL Long lasting waterproof liner in black on my lower waterline. Barry M Lash Vegas mascara & Benefit They're Real! 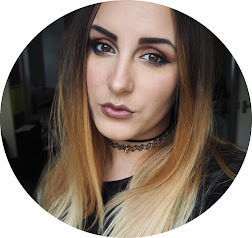 Mascara are my favourite combination at the moment - lash vegas is one of my favourite mascara’s! Michelle has taken a more natural approach with her shadows as neutrals work best on Blue eyes and using a pop of colour to bring out the blue in her eyes makes the colour stand out more than usual! 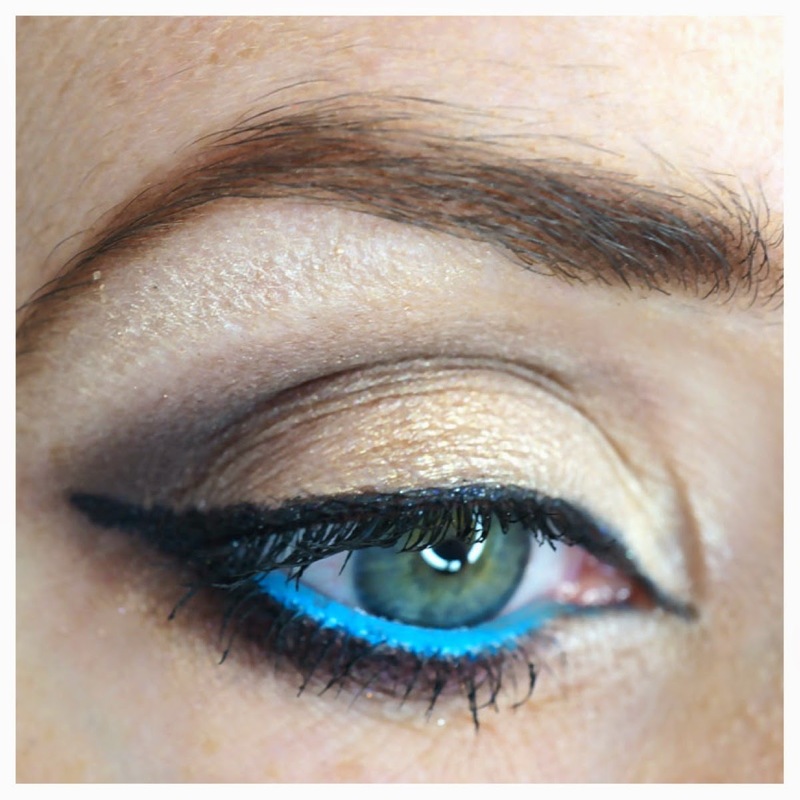 I could never get away with using a bright blue liner but this is done perfectly! Click here to read more on how she achieved these looks. 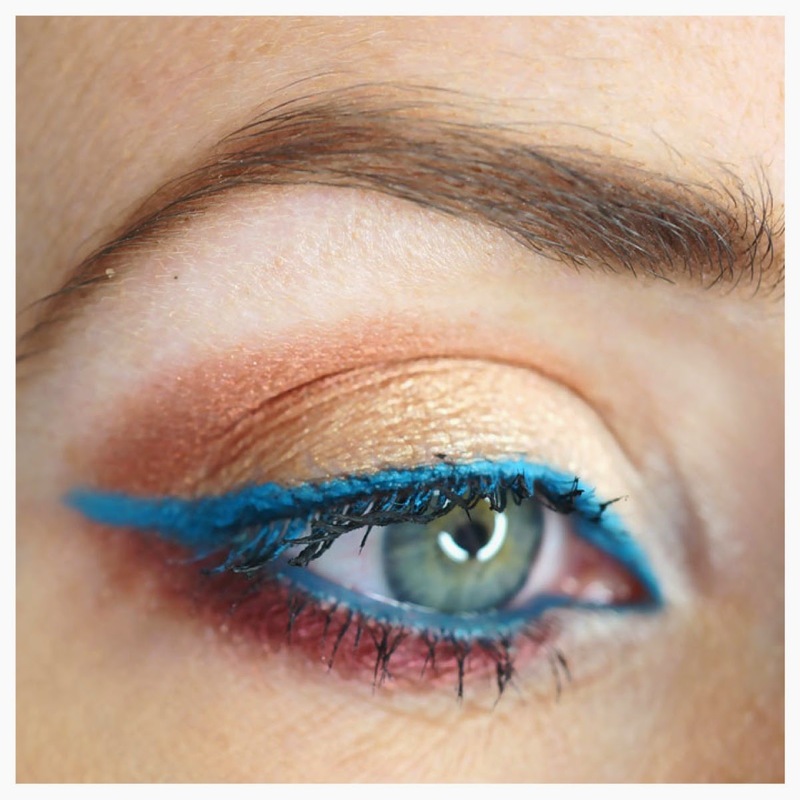 Don’t forget to check out Michelle’s blog post and give us both a shout on Twitter if you like these posts and let us know what colours you like to use on your eyes! My eye colour honestly changes by the day, sometimes it looks blue, sometimes it looks green!! But I just wear any kind of colour I'm feeling!! Hahaha.